These sweet coffee pancakes are easy to make and great for a weekend brunch. 1. Pre-heat the oven on a low heat to keep the pancakes warm while you cook, unless you want to eat as you go. 2. 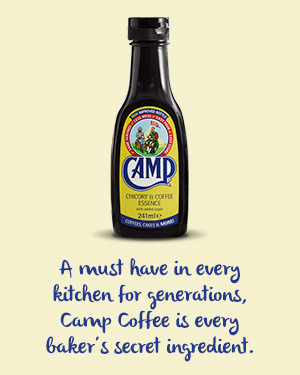 In a bowl, beat together the egg, milk and Camp Coffee. 3. Add the flour, baking powder, bicarbonate of soda and sugar. Keep whisking until just combined. The batter should have some small to medium lumps. 4. Heat up your frying pan over medium to low heat and add a little butter or oil to stop the pancakes from sticking. 5. Spoon out a portion of the batter into a pan. The mixture will make 8 pancakes, so you can cook 2 or 3 at a time depending on the size of your pan. 6. 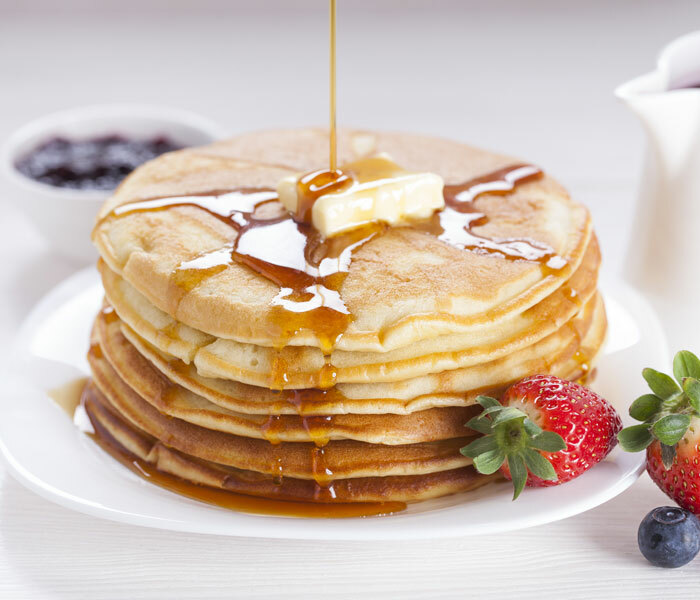 Cook until bubbles form along the sides and in the centre of the pancakes, then flip them over and cook on the opposite side until they are golden brown. 7. Transfer the pancakes to the oven until you've gone through all the batter. Serve with syrup, fruit and a knob of butter.